This book may cause a laugh attack! 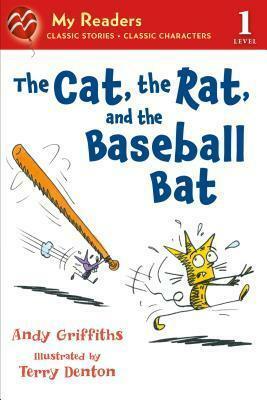 Cats and rats are natural-born enemies--but throw a baseball bat into the mix, and the situation is sure to explode. The title story from Griffiths' popular and hilarious book The Cat on the Mat is Flat is now formatted as a stand-alone for beginning readers. Edition Statement My Readers Level 1 ed.